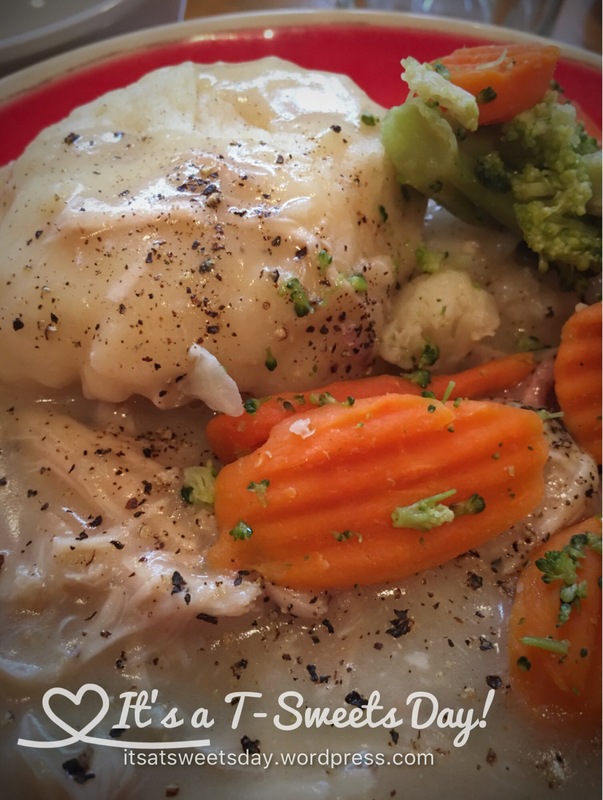 Chicken ‘n Dumplins – It's a T-Sweets day! Published on October 26, 2016 October 26, 2016 by Tracy @ It's a T-Sweets Day! When I was first married, my cute husband and I went on a trip from Arizona to Florida by car. We have always liked road trips;). On our way, we drove in to New Orleans. It was a magical place. We fell in love with the food. We didn’t have a lot of money and the only souvenir I bought on the whole trip was a church cook book of true Southern cooking. That old souvenir cookbook has brought many many evenings of happy meals to our family. 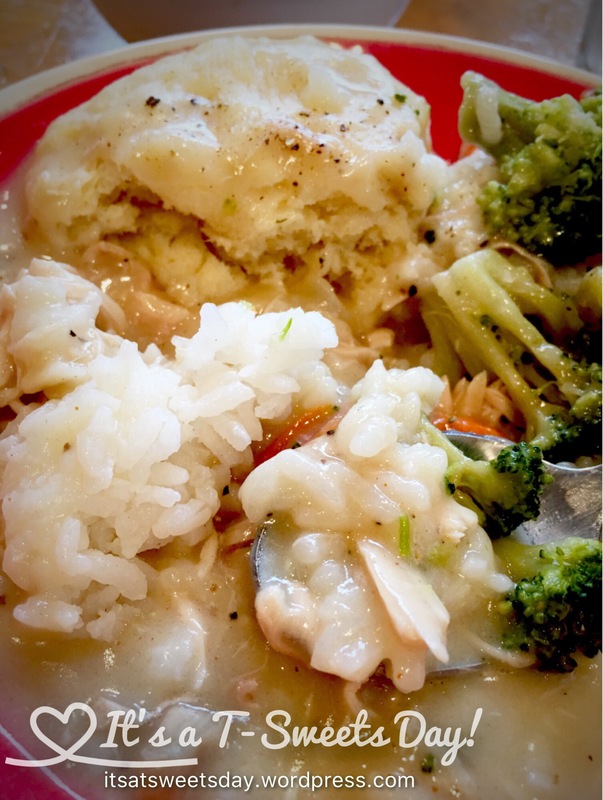 One of our favorites is this recipe for Chicken ‘n Dumplings. I hope you love it as much as our family does. Add 2 tbs oil to a hot soup pot. Brown chicken pieces. Remove meat to drain on paper towel. Cook onion and garlic in drippings until clear. Remove and place with chicken. Add extra oil to make 1/2 cup oil in pot. Make a roux by adding the flour to the oil and stir until light brown. Add meat and onions to the roux and stir. Add the chicken broth and any extra water you may need to fill your pot 3/4 full. Let cook until the chicken is tender. Sift dry ingredients together. Cut in shortening until it looks like course crumbs. Combine milk and eggs. Stir with fork to mix. Roll to 1″ thick and cut to desired shape. When chicken is cooked, about 30min. 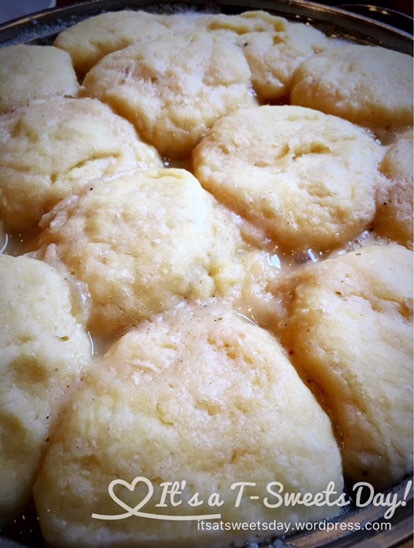 , place biscuits gently on top of stew and cover the pot. Do not stir. Cook until biscuits are cooked through. About 12-15min. Serve over rice with cooked vegetables on the side. ** this recipe can be hastened along by using canned or left over cooked chicken. Thank you for stopping by my blog. I hope you have a SWEET day! Previous Home is Where the Haunt Is!